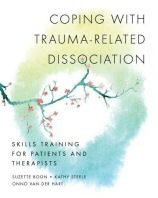 In therapy clients who have dissociation strategies present us with many challenges. At a basic level we are often presented with an extraordinary memory challenge with many bits of information coming from different alters. This is complicated further when one alter doesn’t know some information and the host doesn’t want them to know! We are often thrown into what feels like ethical turmoil and many of us can relate to spending time in supervision trying to work it all out. It is also very interesting from a relational point of view as we can experience different dynamics and levels of relationship with different alters. We had a great night in the CPD group exploring many aspects of this subject and sharing our experiences of working with clients who live with dissociative symptoms/strategies. We shared ways of working and feelings and some of us talked about how honoured we have been to be part of such a profound healing process. Just to say that although I recognise that terms involving the word disorder are a way to categorise a range of experiences, I choose to avoid terms such as dissociative disorder or dissociative identity disorder (DID). My feeling is that it’s more useful to see dissociation symptoms as part of a continuum and to recognise the resourcefulness of an individual whose mind has employed this way of coping. 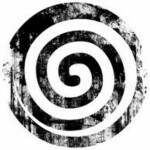 I believe that an acceptance and acknowledgement of ones unique resourceful way of coping provides an important foundation for a healing process. It’s presented essentially as a self help book and is full of great exercises for people to use either in therapy or autonomously, it’s also a really useful book for therapists of all modalities. 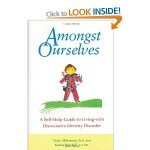 Another self help book that in my opinion is really useful for therapists is Amongst Ourselves by Tracy Alderman.. Check it out! This was a session that explored dissociative identity disorder (DID) with the unique experiences of the group. Really enjoyed sharing and participating in group discussion about this complex subject. Thanks for posting Trace and thanks for your valuable contribution to the CPD evening. What aspect of the discussion did you find most useful?